Thank you sir for the tips! I'm no welder by profession! Yea I put an empty keg in my engine bay (on engine mounts and connected to transmission) and test fitted everything before tacking the manifold together. The wastegates have a lot of clearance to the frame rail and subframe and the dump tubes can easily exit through the opening in the subframe. Yeah I remember you! I didn't realize this was you though lol. Thanks! I'm loving your FD as well. 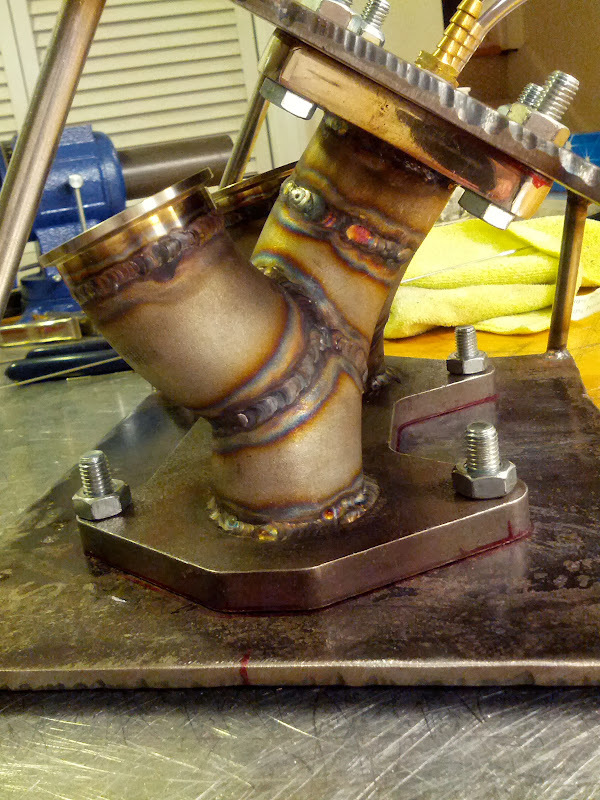 And those welds do look really good. I still have to learn to do that myself lol. Do you have a (guestimated) eta for the initial start-up? Haha no worries. Is it Eric? Thanks man! I still have a long way to go, but it just takes a lot of seat time. Thanks Levi. Haha no idea. I hope to have it done by Deals Gap. Made the cut outs for the wastegates. Used a plasma cutter, then cleaned up with a carbide. 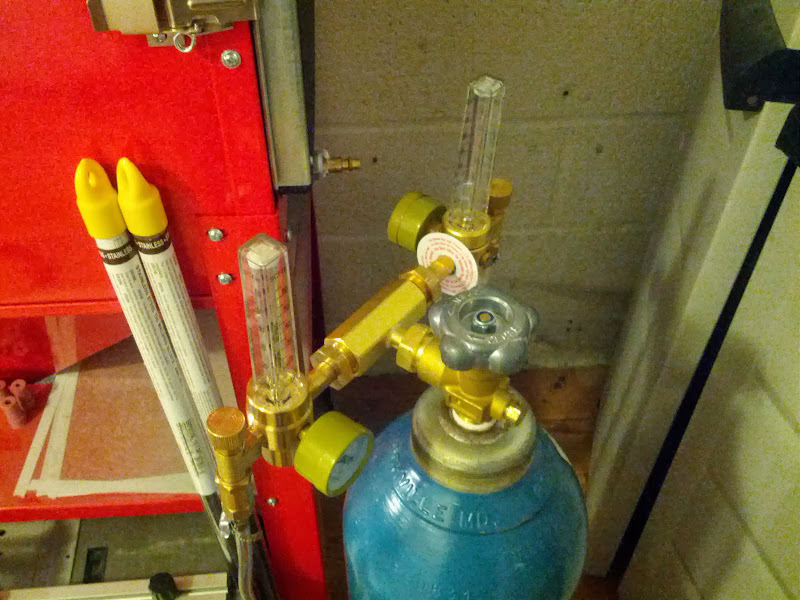 Set up dual flow meter/regulators so I could backpurge the manifold during final welding. 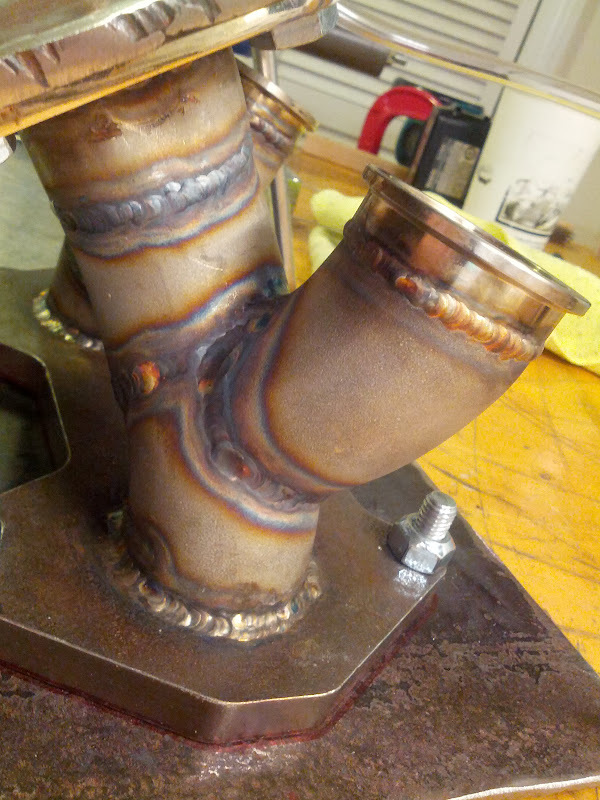 Did the finish welding on the wastegate flanges. While welding the second flange the foot pedal control for my TIG crapped out. I had to finish it with the 2T torch control I hate using the torch control. 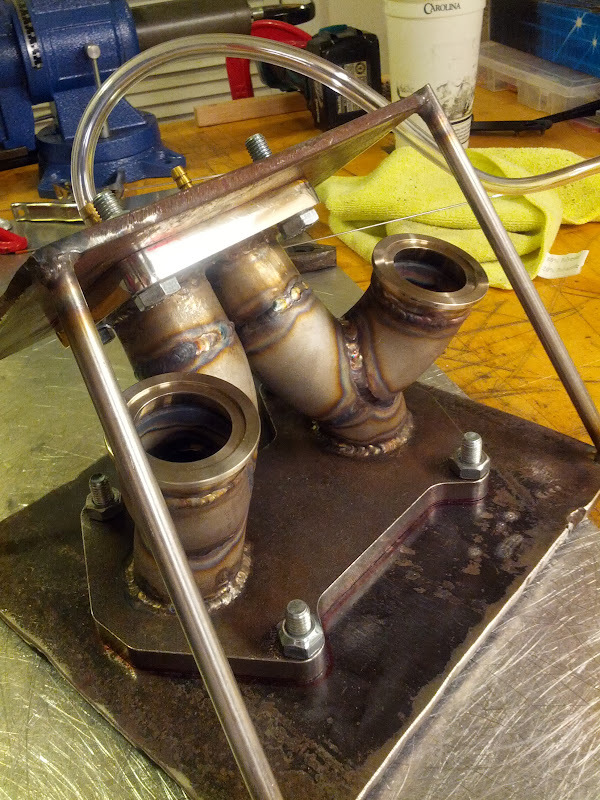 Had planned to finish all the welding today, but will have to wait until the new foot pedal comes in. Last edited by RXtacy; 08-06-2015 at 08:27 AM..
Teee Heee! That setup seems to be perfect on the bottle awesome..
Last edited by chibikougan; 10-14-2013 at 10:27 PM.. Looking forward to see if you will be able to re-route the wastegates... I have been putting off going single, but I have been getting tired of replacing twins so a single will be in my future soon. 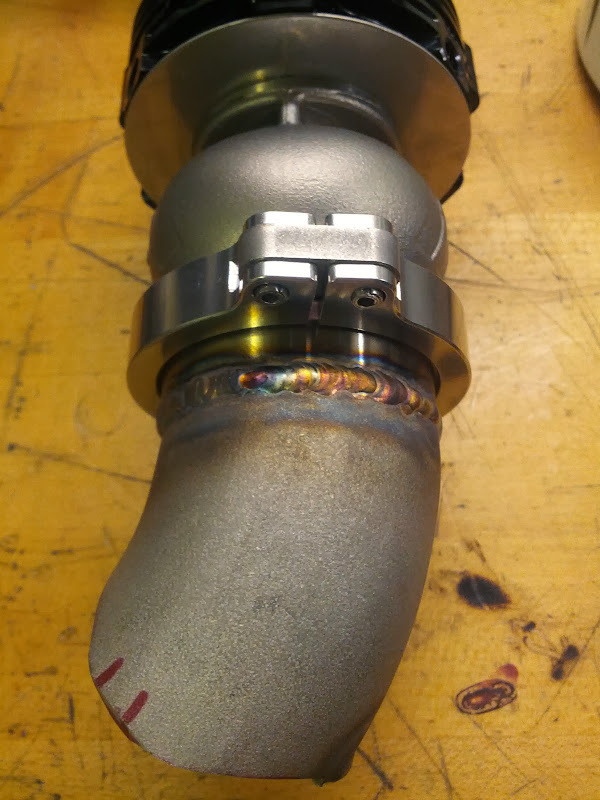 I absolutely want a short runner manifold but for me the deal breaker is being able to reroute the wastegates. I have yet to see it done on a short runner like this. That won't be for a while. I'll be running open dump initially. The only forcing factor for going re-route will be whenever I wanna hit up LRP. Stupid noise restriction I think it will be doable, tough but doable. Interesting! Looking forward to the results! Got my clutch. 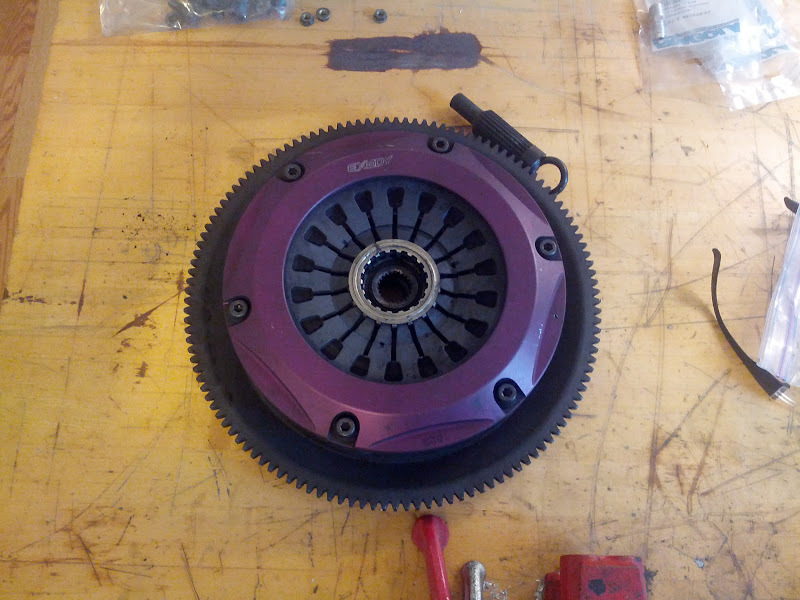 Exedy twin disk. My buddy Tyler gave me a unbeatable deal on it. Thanks brotha! 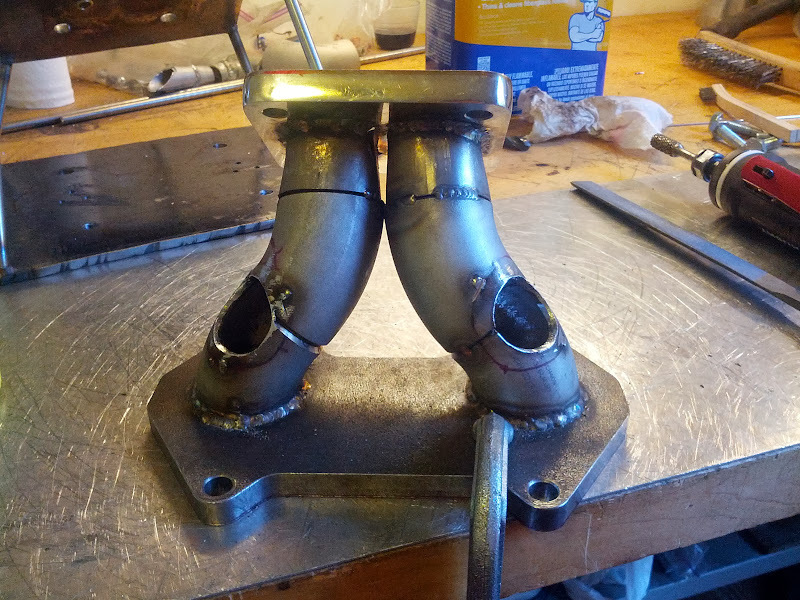 Also finished up the turbo manifold. Will have more pics once it's cool. Last edited by RXtacy; 08-06-2015 at 08:29 AM.. I'm planning on plumbing mine into the DP too, but I've been putting it off because it seems like such a huge project and probably be a PITA to do with a short runner manifold. Good work on the manifold btw! Sig: "It allows me to secks them before they're cool"
Those should be interesting pictures. Good luck with the re-route. I bet it won't be as bad as you think. 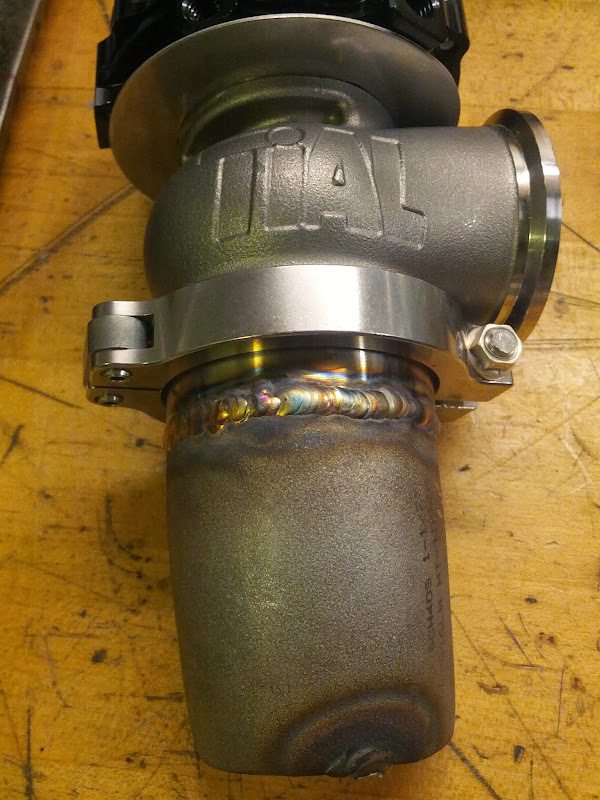 What size is your downpipe? Yeahhhhh this year was pretty weak for track events. I do have a Thunderbolt day planned for Nov 10th BTW. I have a trailer now, so LRP is even more tempting now!